Dunedin has been the only spring home for the Toronto Blue Jays since their inception in 1977. Players workout at the Bobby Mattick Training Center at Englebert Complex for a couple of weeks in February before moving to the ballpark for spring training games. The current ballpark replaced Grant Field in 1990. 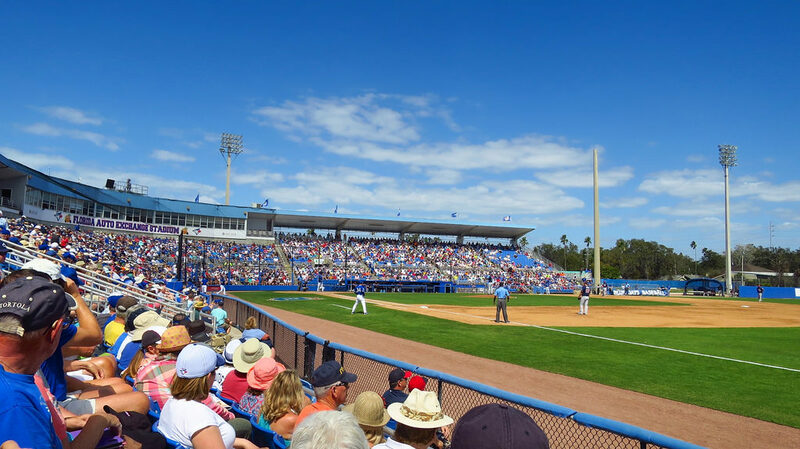 Built at a cost of $24 million, the Blue Jays spring training home has a seating capacity of over 5,000. For most of its existence the ballpark was known as Dunedin Stadium. However in November 2010 the City of Dunedin sold the naming rights to Florida Auto Exchange, a local car sales center.